IEO shows are recognized by North American Western Dressage (NAWD). 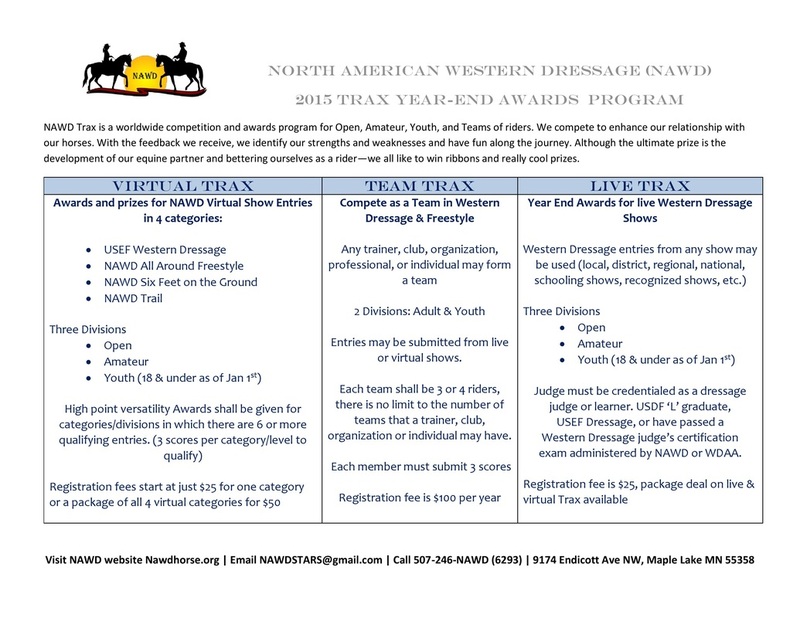 Scores earned at IEO shows qualify for NAWD’s Live TRAX and Team TRAX year-end awards for riders if submitted within 10 days after the show ends. Membership is not required. Registration is $25 for year-end awards and prizes. 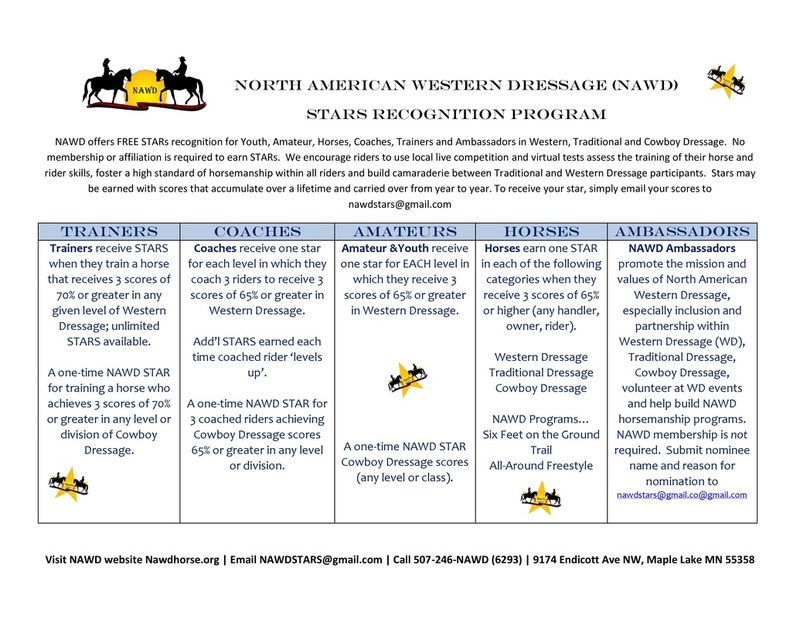 NAWD also recognize coaches, trainers, horses, amateur youth and adults and western dressage ambassadors with free ‘STARS’ recognition. Visit NAWD’s website www.nawdhorse.org Join the North American Western Dressage Facebook group | Call 507-246-NAWD (6293) for more information.